Plant-based alternatives are getting increasingly closer to their original replicas, especially in the world of egg substitutes. Today, you can purchase alternatives to eggs that work in all kinds of applications, like scrambling, baking, sauces, frittatas, and more. 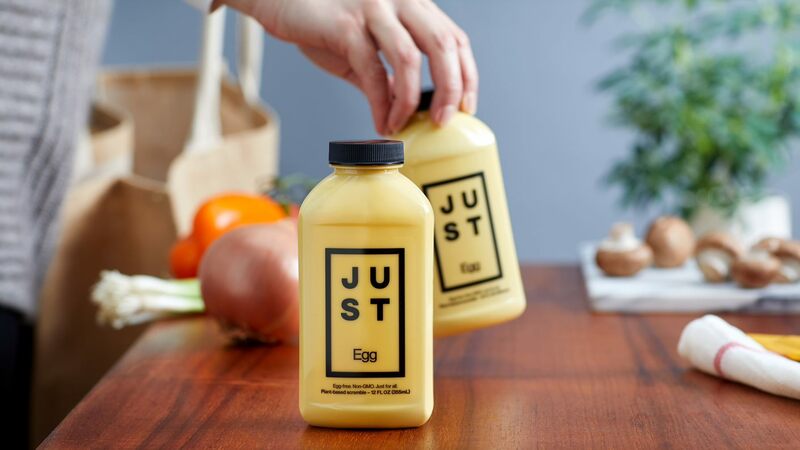 In the current industry of egg alternatives, two companies really stand out: Follow Your Heart, one of the earliest to create an egg alternative, and JUST, the successor to Hampton Creek whose scrambled egg substitute has become a viral success. Of course, you're probably not going to have multiple egg alternatives in your food supply at once, so if you're looking for which one of these two top choices to go with, here's a look at what each one does best. From there, you can decide for yourself which one you should be getting on a regular basis. JUST uses a mung bean protein to make their plant-based scramble, and it has all the form and function of standard scrambled eggs. Fellow Foodbeast Peter Pham captured the alternative being cooked at Expo West, and watching it turn into perfect scrambled eggs is mind-blowing. In terms of capability, JUST's "egg" is ideal for anything you want to do in terms of scrambling. This includes soft scrambled eggs, frittatas, Spanish tortillas, pancake batters, and anything along those lines. Its ability to thicken also makes it useful for batters for items like French toast. Outside of that primary ability, though, JUST's product isn't incredibly versatile. It's okay at some lighter baking applications (ie. cookies), but it really is made to be a scramble above all else. JUST itself doesn't recommend using it as a substitute in baking just yet, although its working on a version that will hold up. 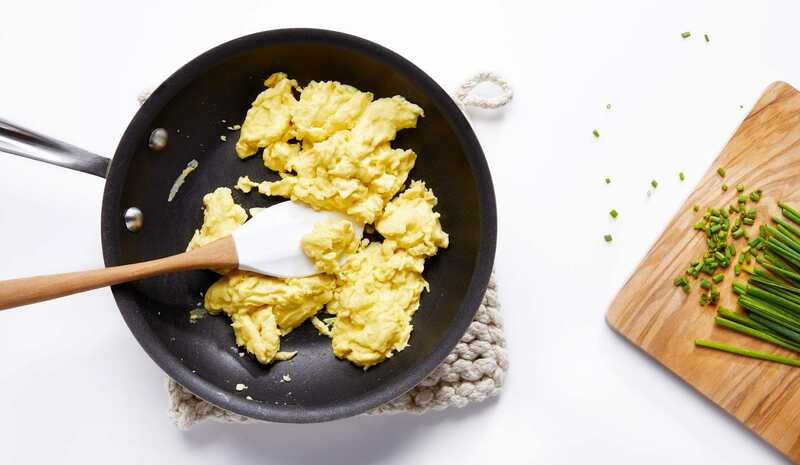 It's an amazing replica of a scramble, but not as strong when it comes to other usages of egg. JUST also does require refrigeration and has a relatively short shelf life, so when you do buy it, you'll want to use it sooner rather than later. 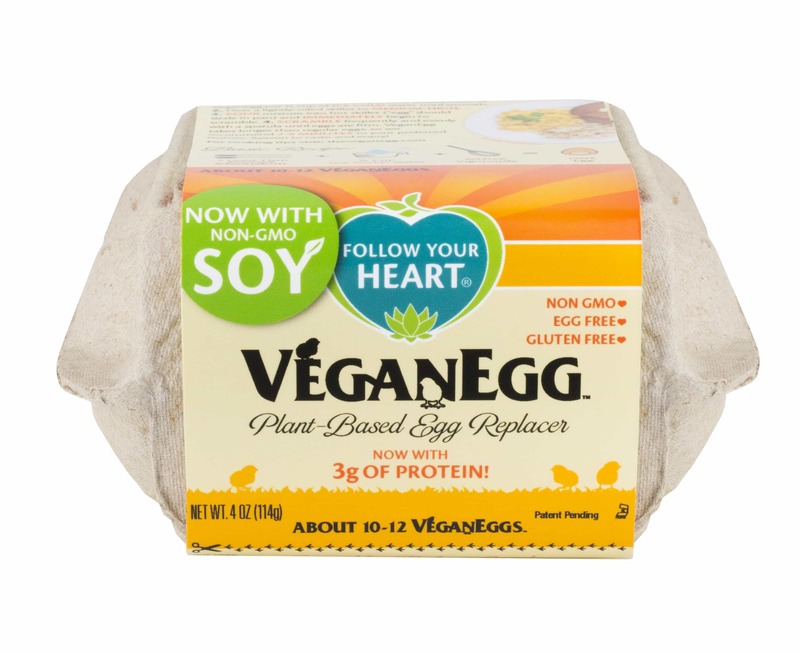 At first glimpse, Follow Your Heart's VeganEgg is very different from what JUST offers. Follow Your Heart's soy-based version is a powder that you mix up with water when you want to make your egg substitute. You do get enough per batch to equate to about a dozen eggs, give or take. It's not as convenient as the ready-to-pour JUST, but still pretty simple to use. Follow Your Heart's egg does take a bit longer to scramble, needing about 8-10 minutes versus the 2 minutes for JUST. As for texture, it's a little more runny, but still has a similar taste and texture. 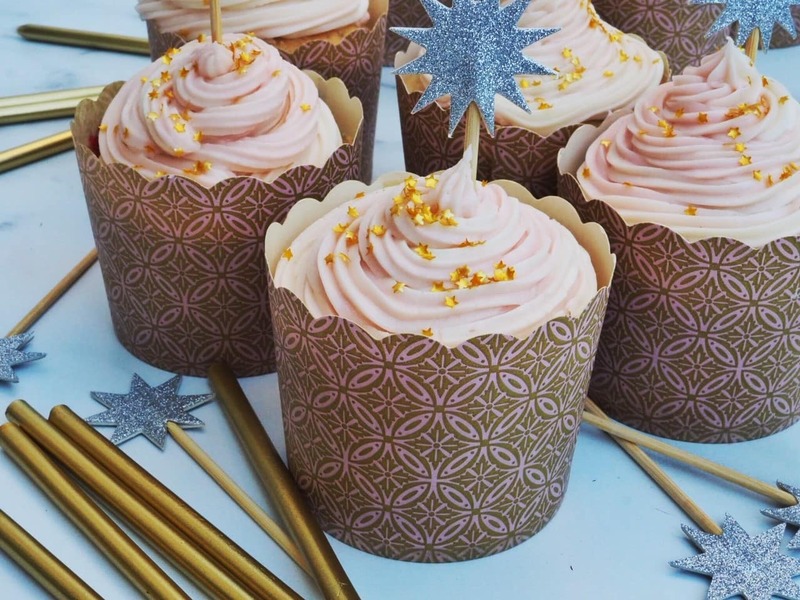 Unlike JUST, however, Follow Your Heart excels at being versatile, especially for baking. Its base liquid form and thickening ability make it ideal for sauces and vegan versions of custard (tricky to pull off, but possible). One of my personal favorite usages for it is as the "egg" of a plant-based carbonara sauce, where it both coats and enriches to perfection. The VeganEggs are also a great egg replacement in baking applications, particularly in cookies and cakes. It works so well in baking because Follow Your Heart's product can withstand the higher heats without needing to scramble, and incorporates well into baking and other mixes. You can also utilize it in batters for items like pancakes, waffles, and other breakfast staples. Overall, if you prefer eating savory foods or want to cut out eggs from your morning routine, I'd go for JUST as the top alternative to scrambles in the game. If you're more into baking and general applications, though, Follow Your Heart is more ideal.